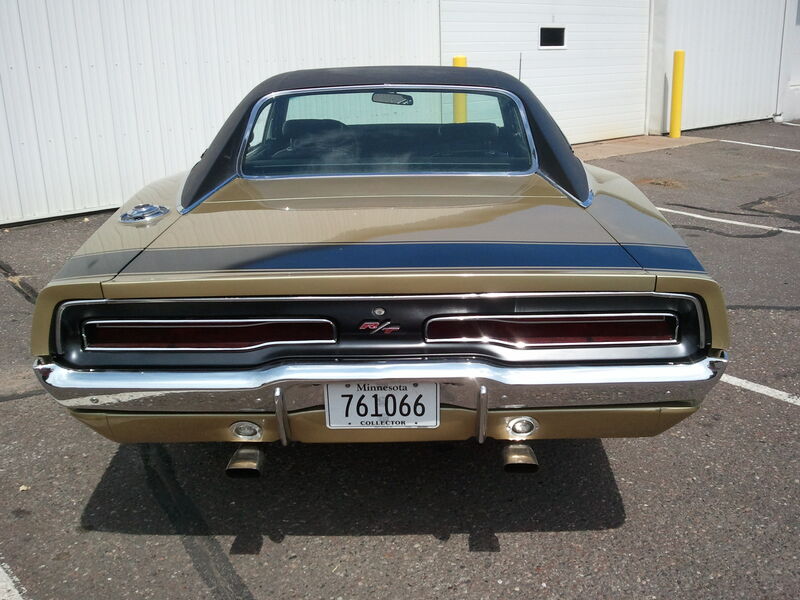 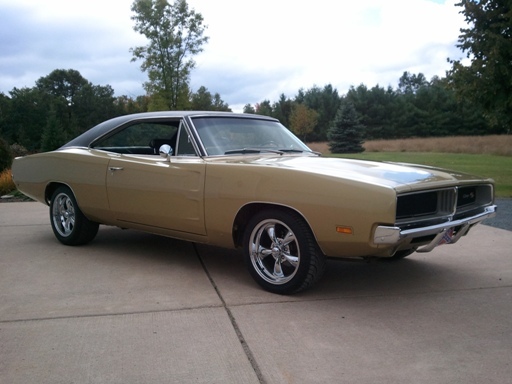 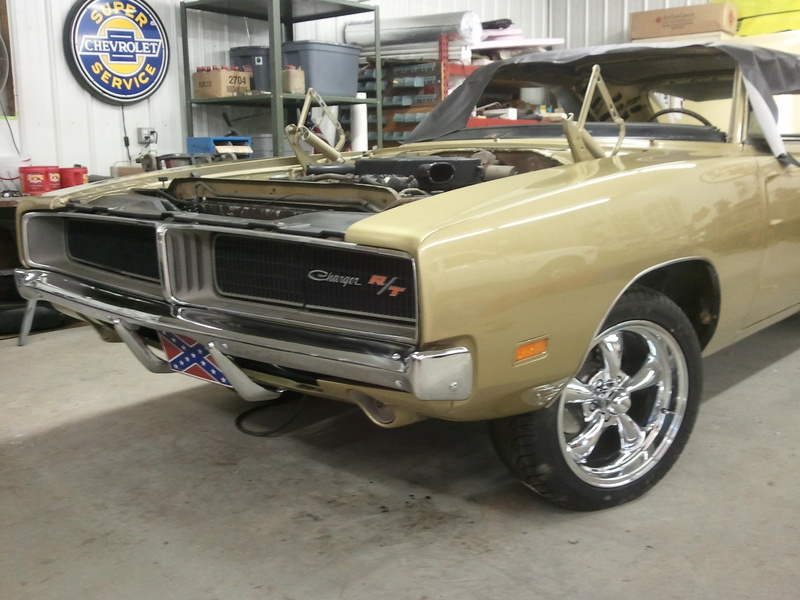 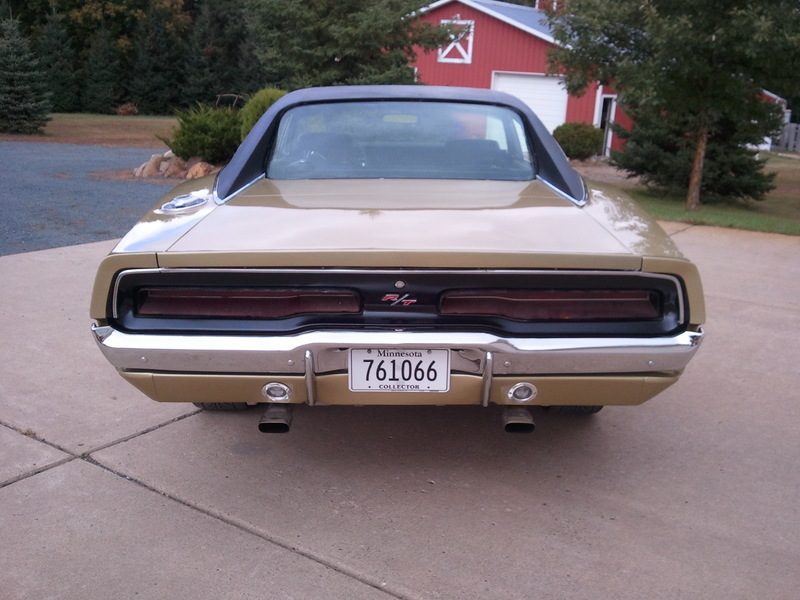 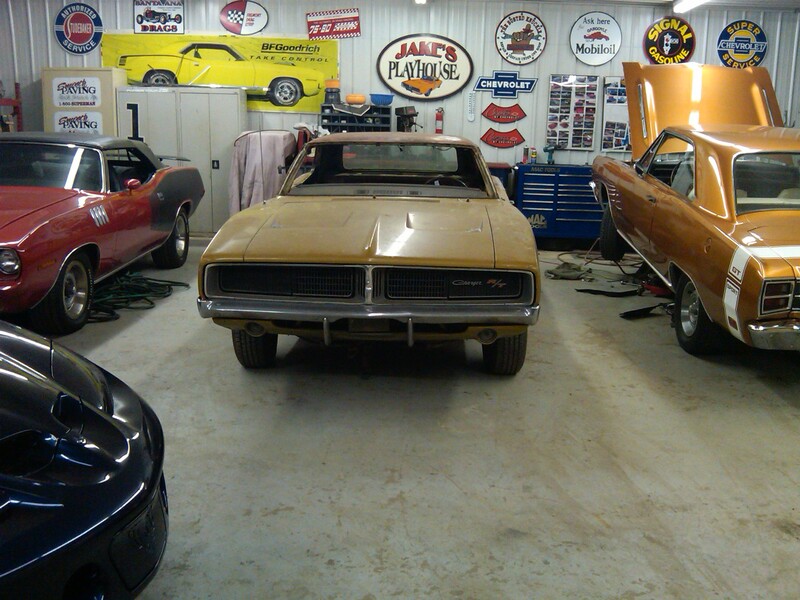 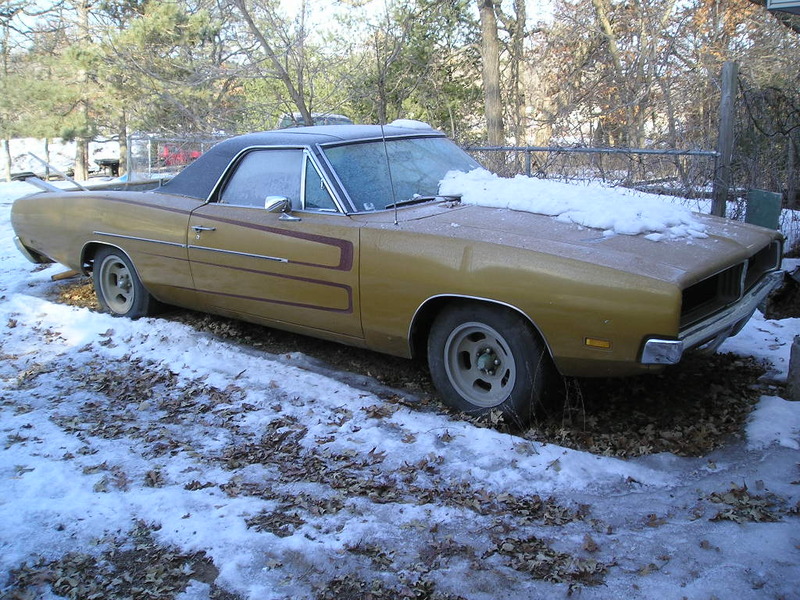 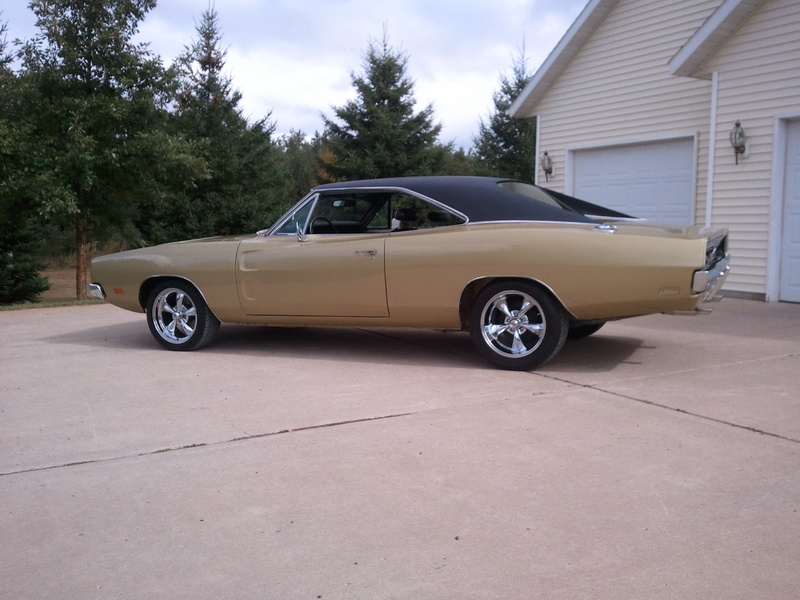 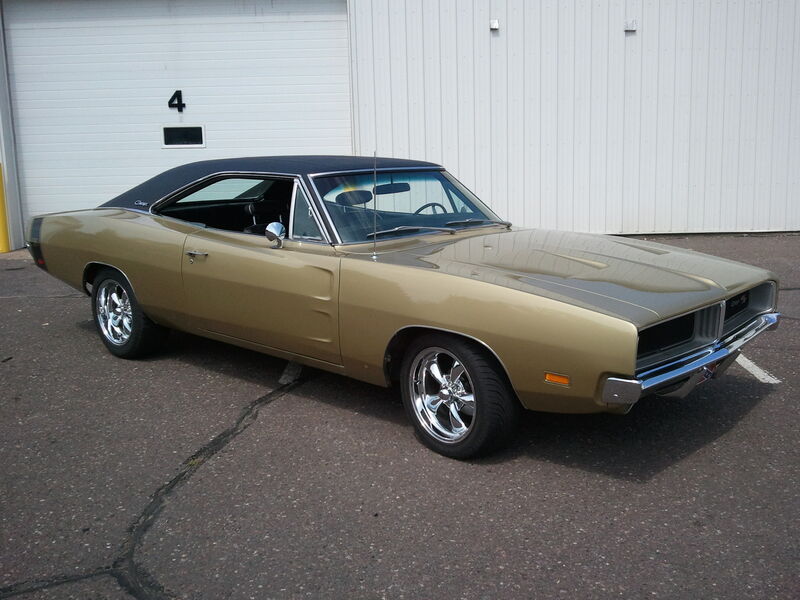 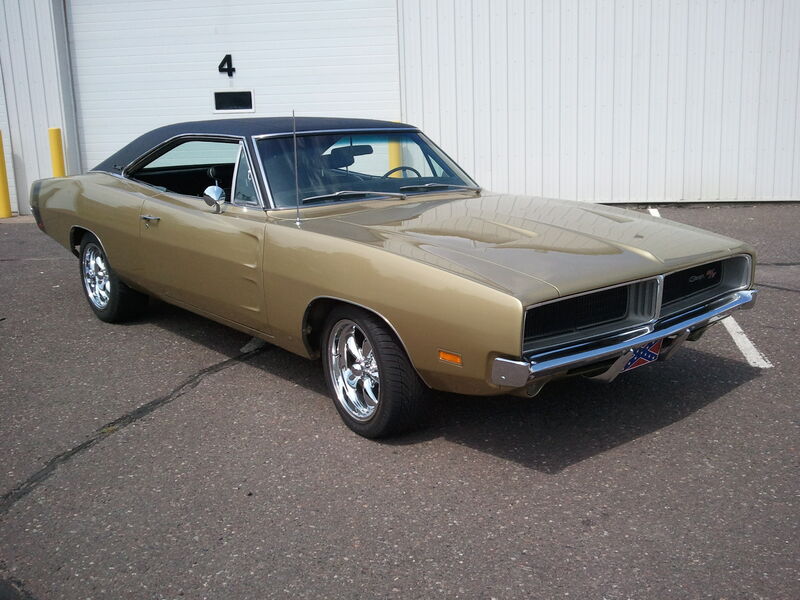 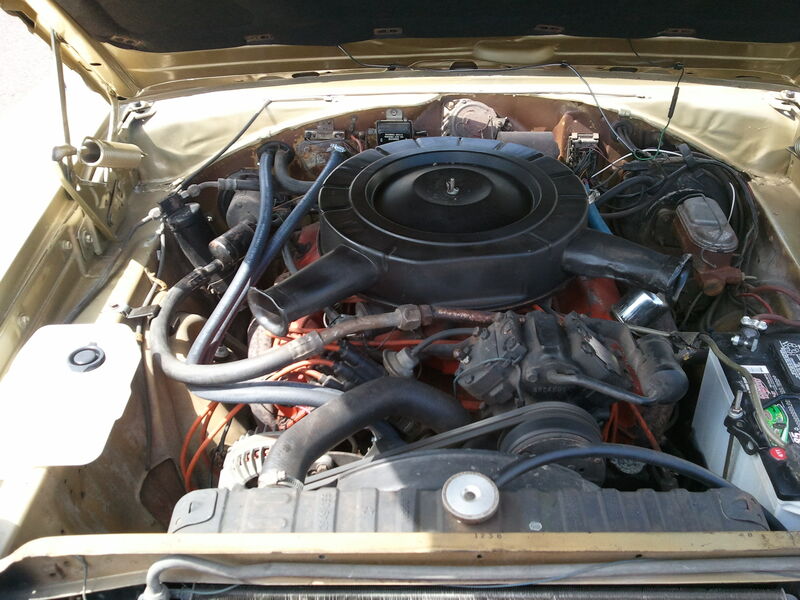 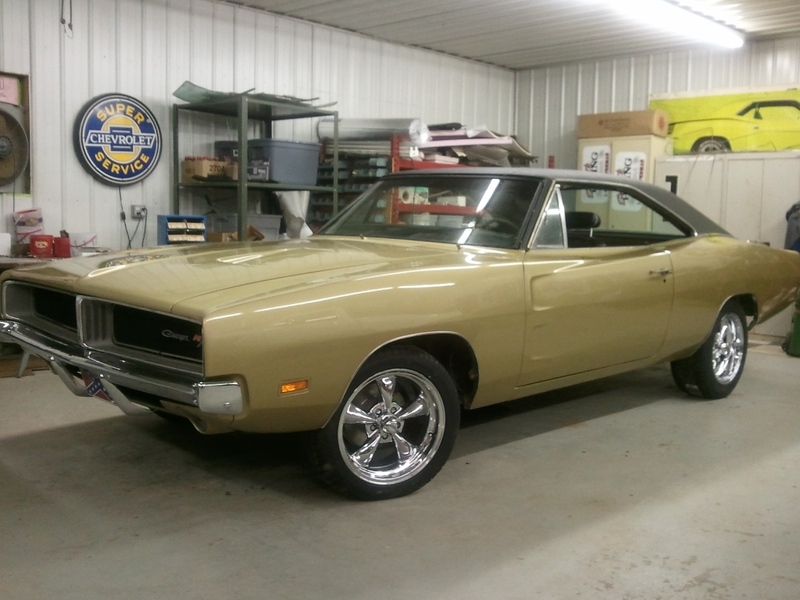 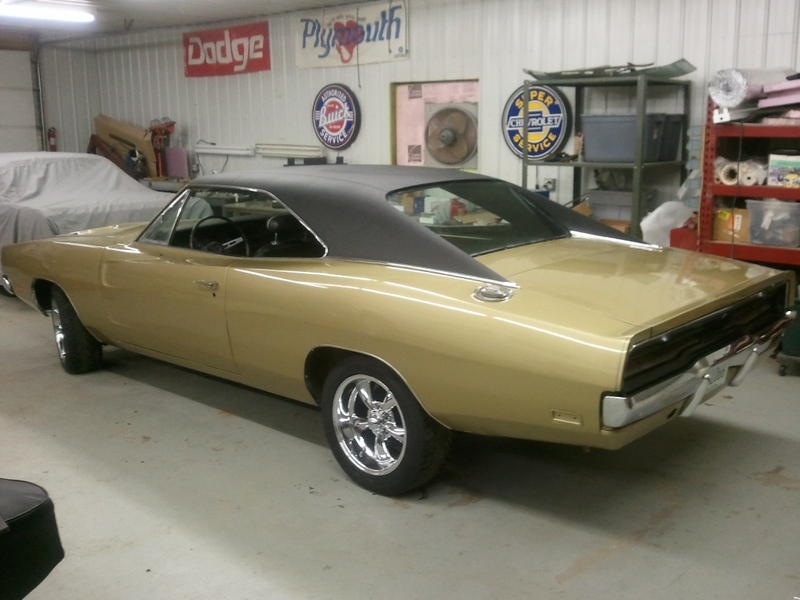 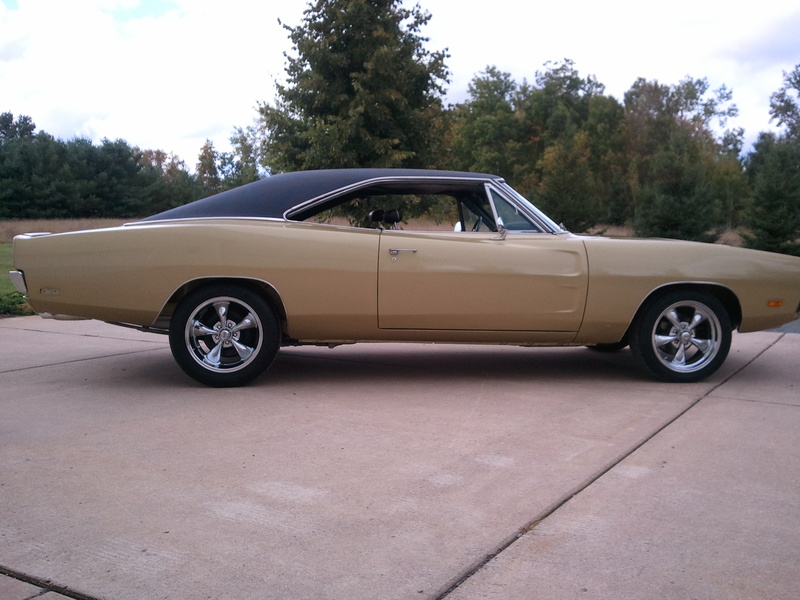 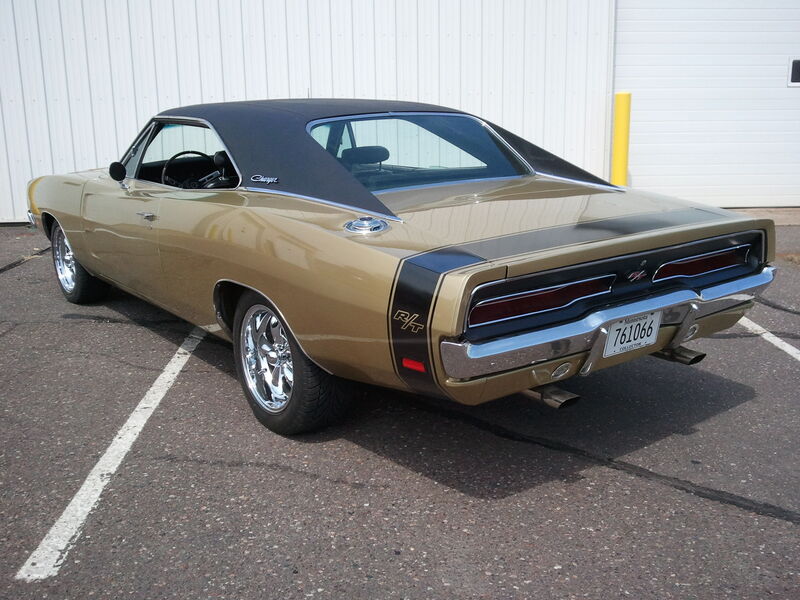 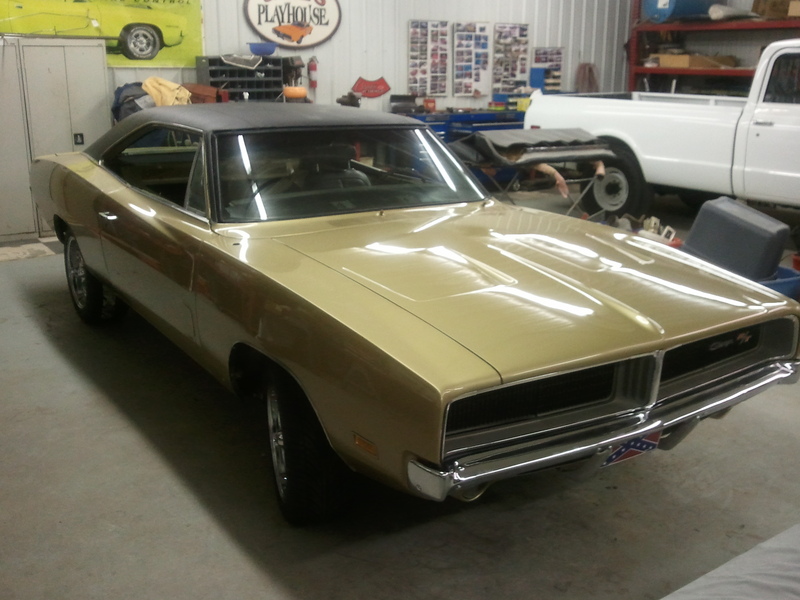 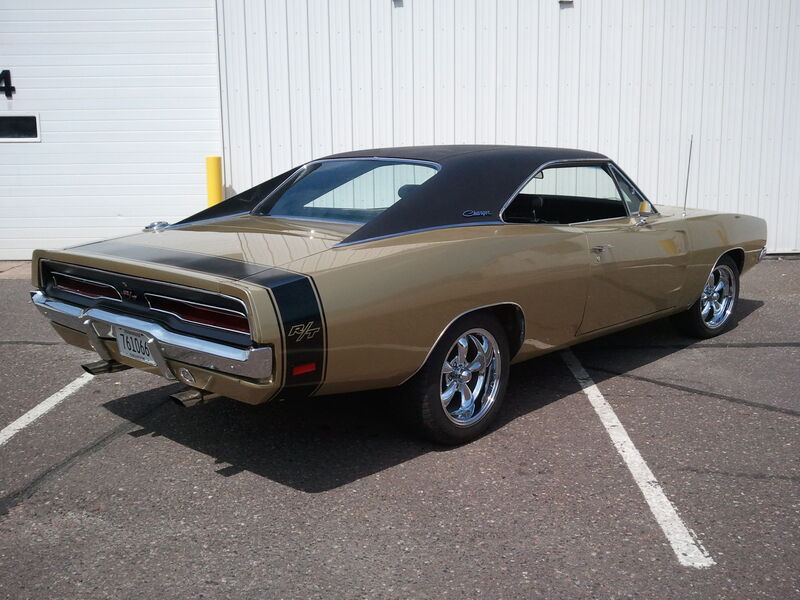 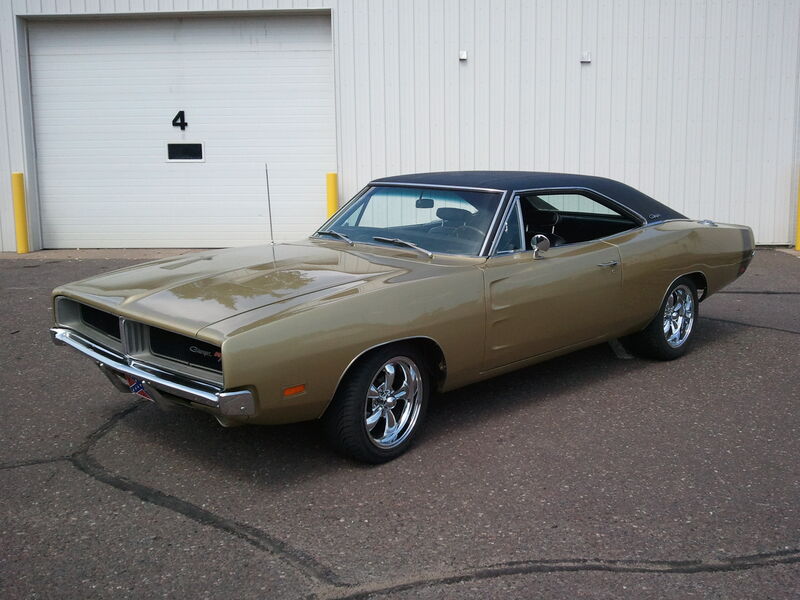 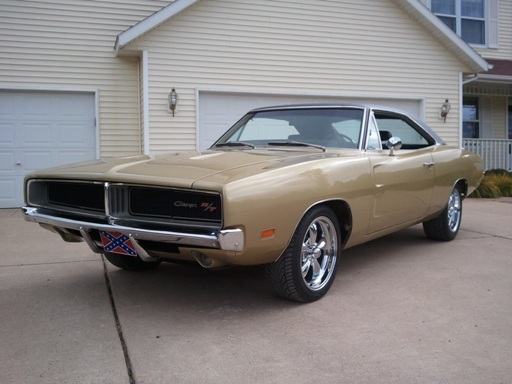 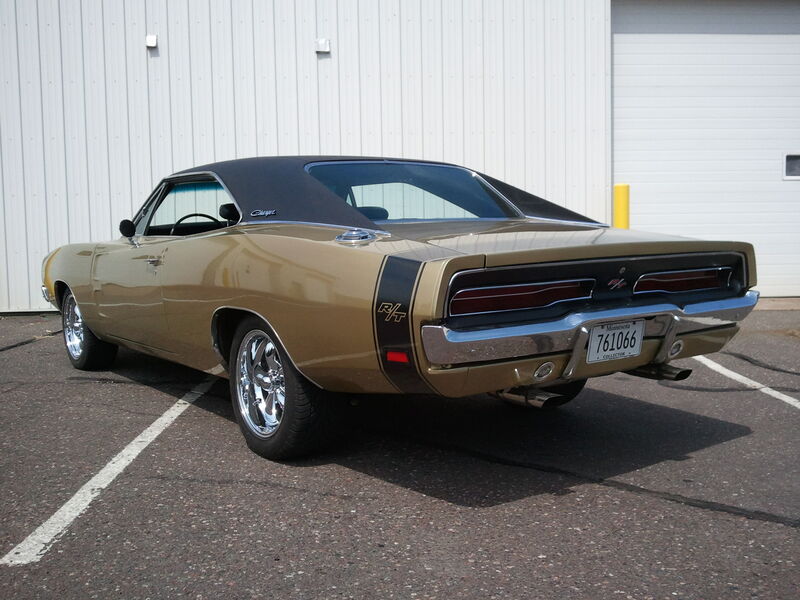 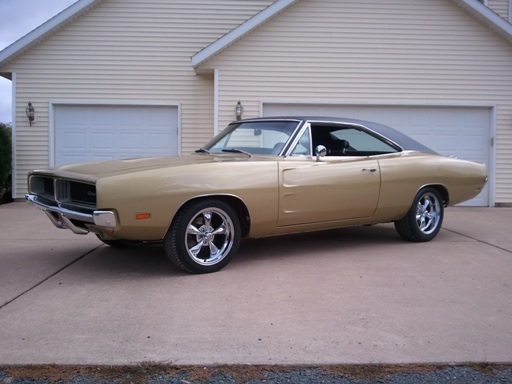 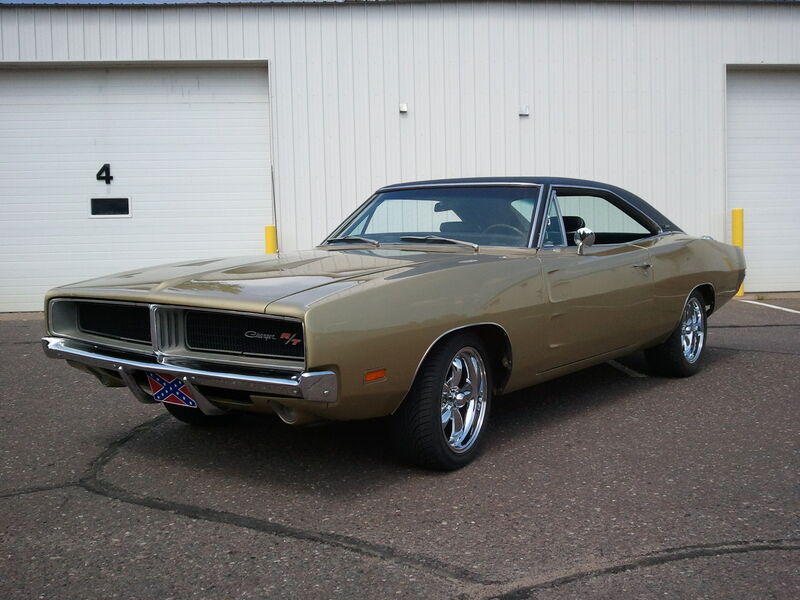 Back in the day this Charger was mated to an Elcamino down in the Southwestern United States. 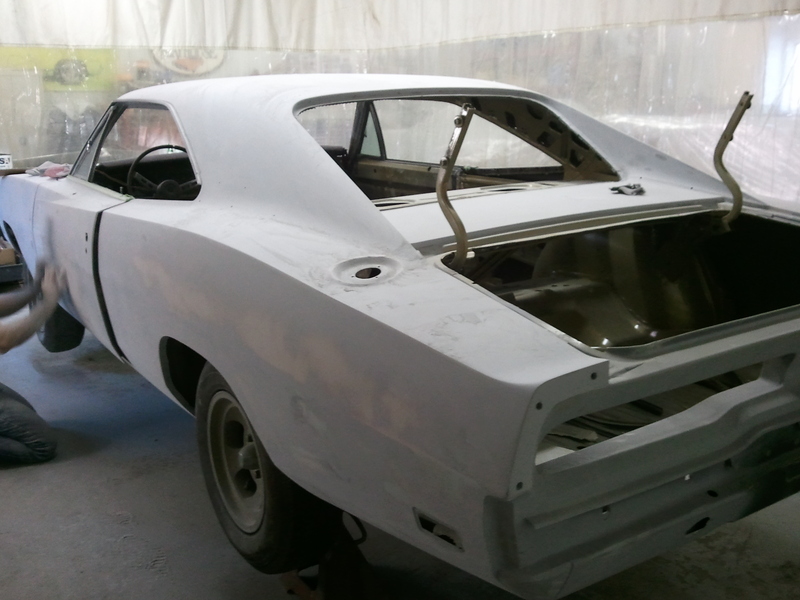 Since the car was a numbers matching 440 and at least the engine bay was unmolested, all AC components present etc, I decided to undertake returning this car to as original as I could. 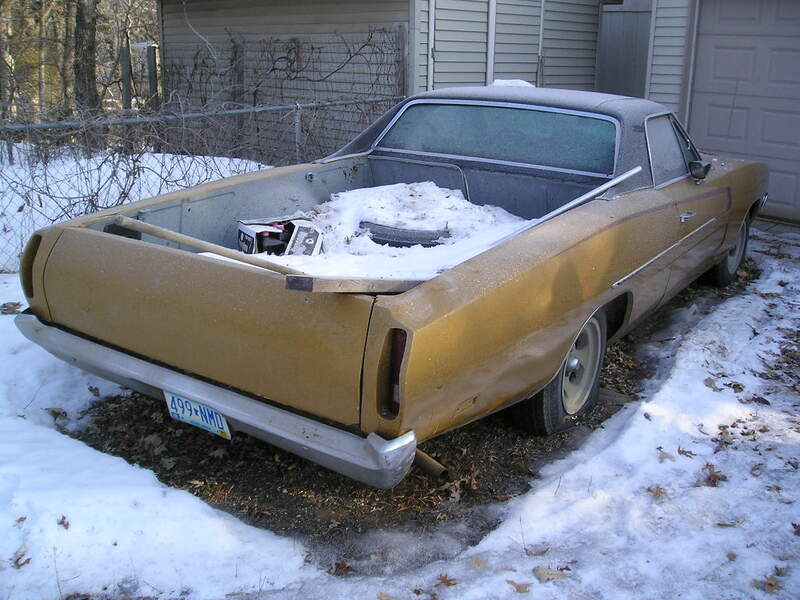 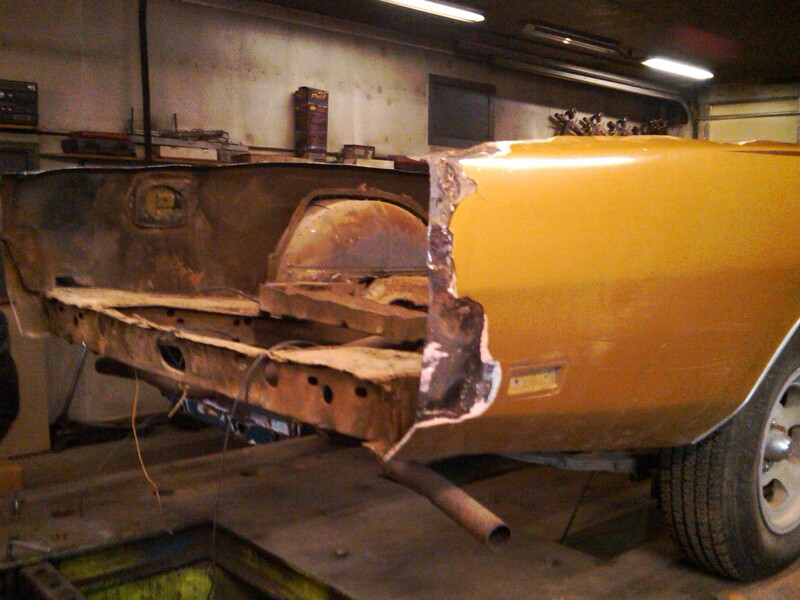 I had a good donor car with a top and trunk area. 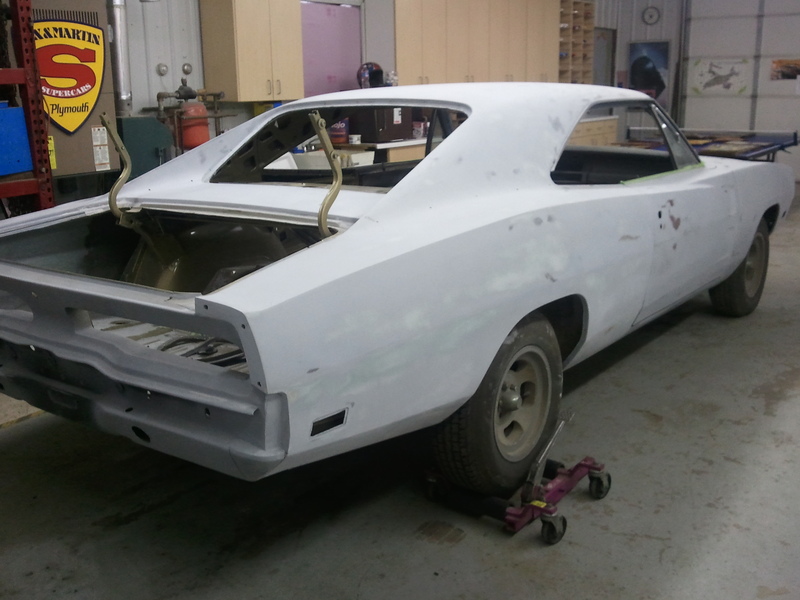 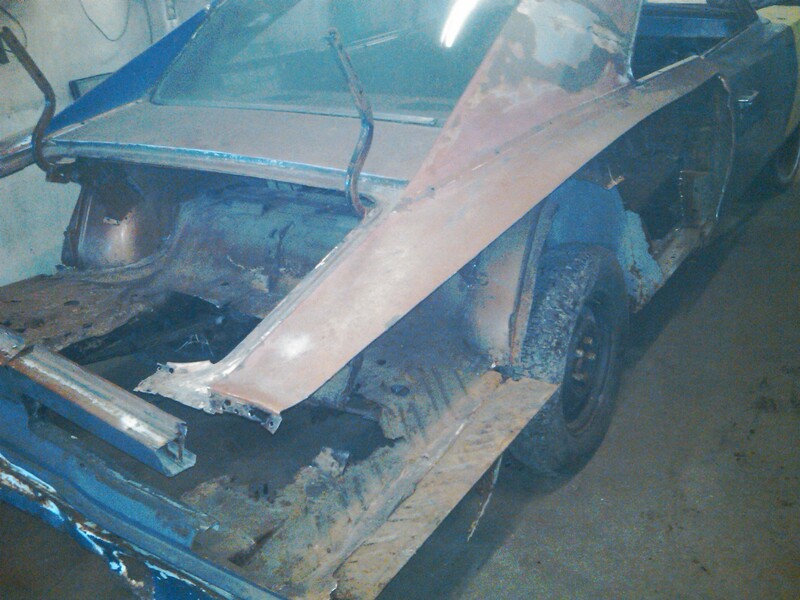 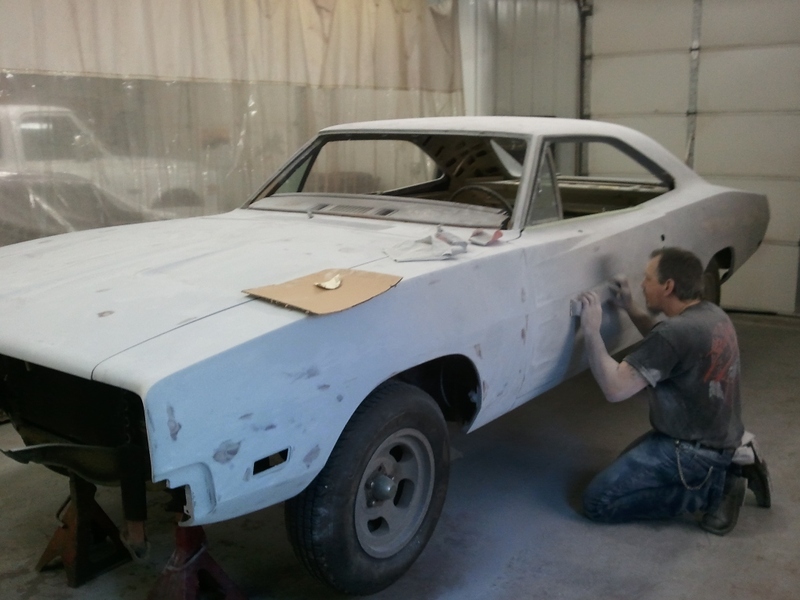 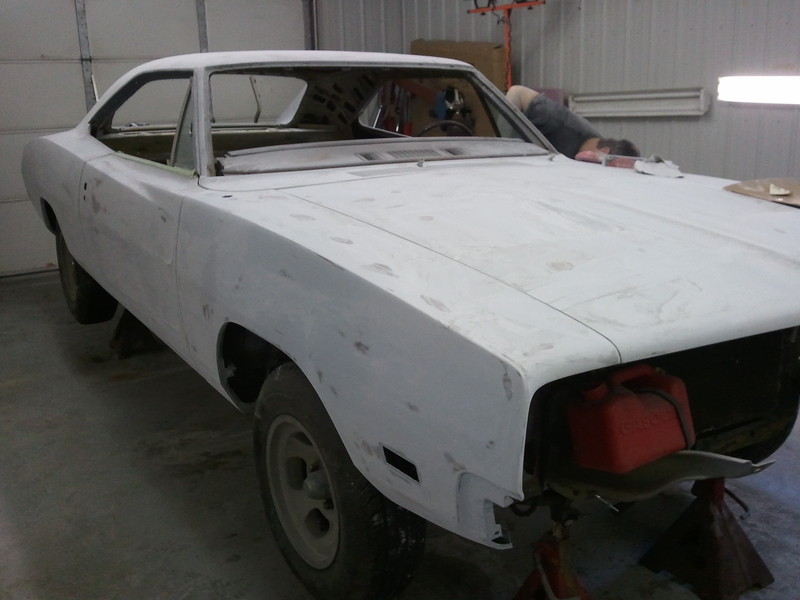 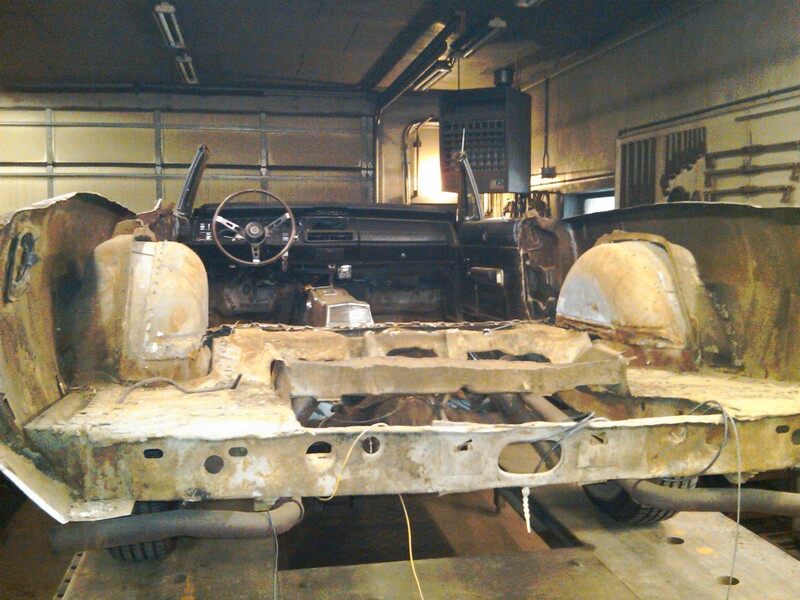 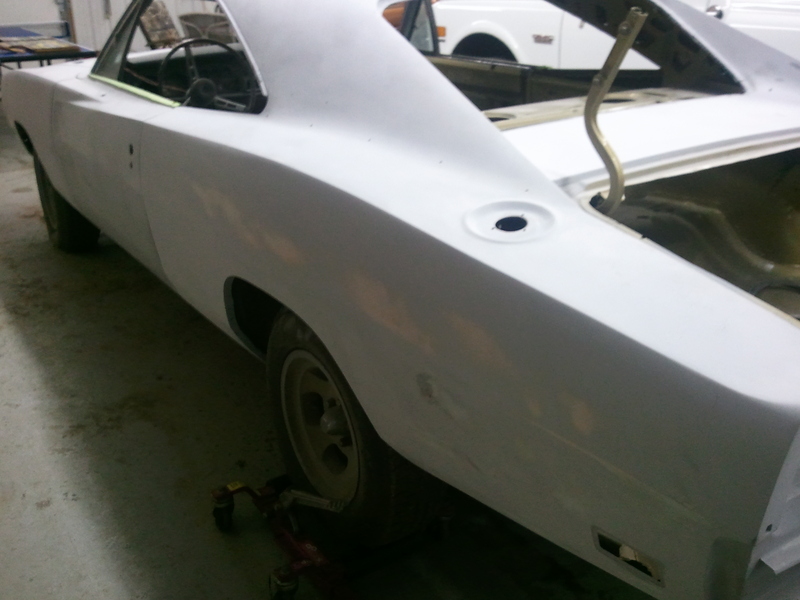 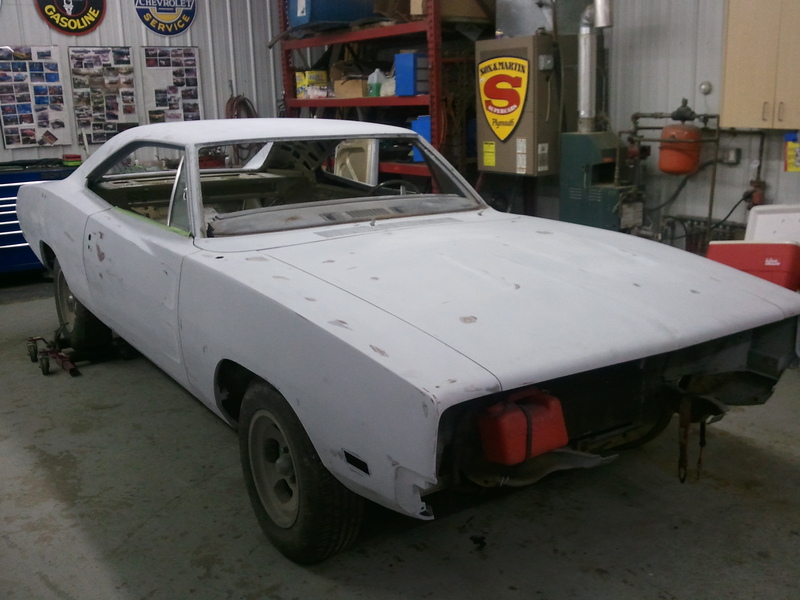 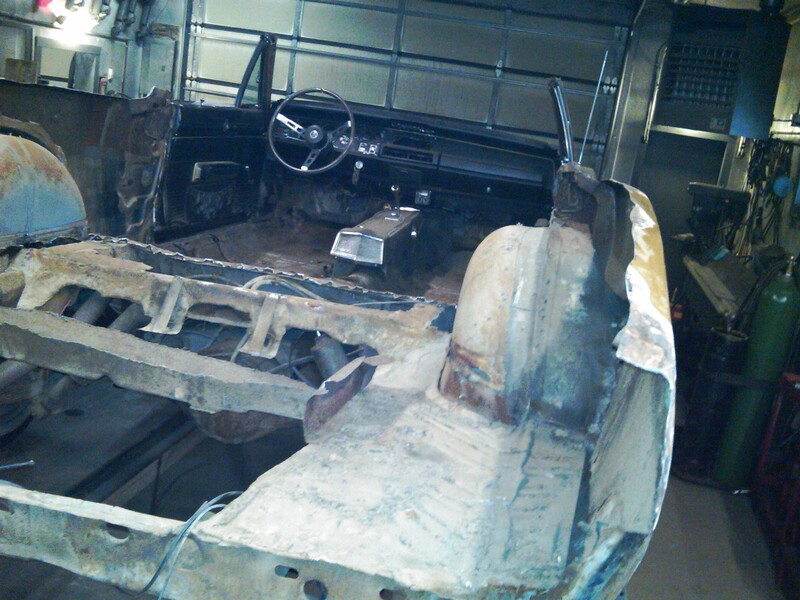 The car was put back together with a seam right along the top of the quarter body line. 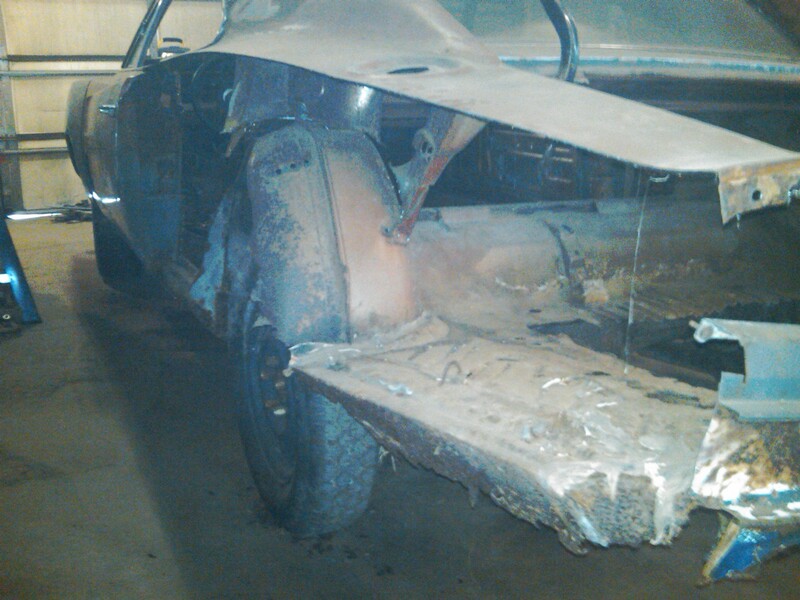 The restored car still had solid lower quarters. 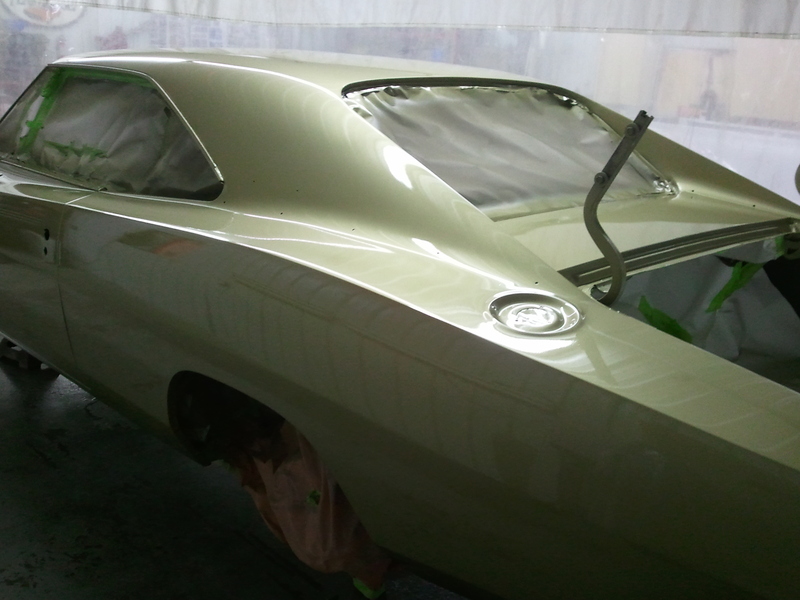 Aftermarket trunk floor and tail light panel was installed. 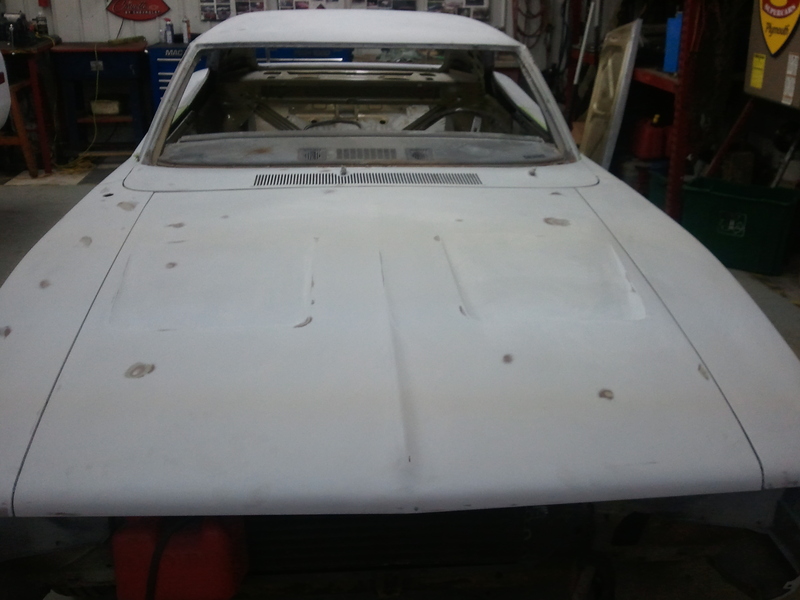 I found a race car builder in my area who was a retired bodyman who had collision books from Chrysler which had the exact body measurements. 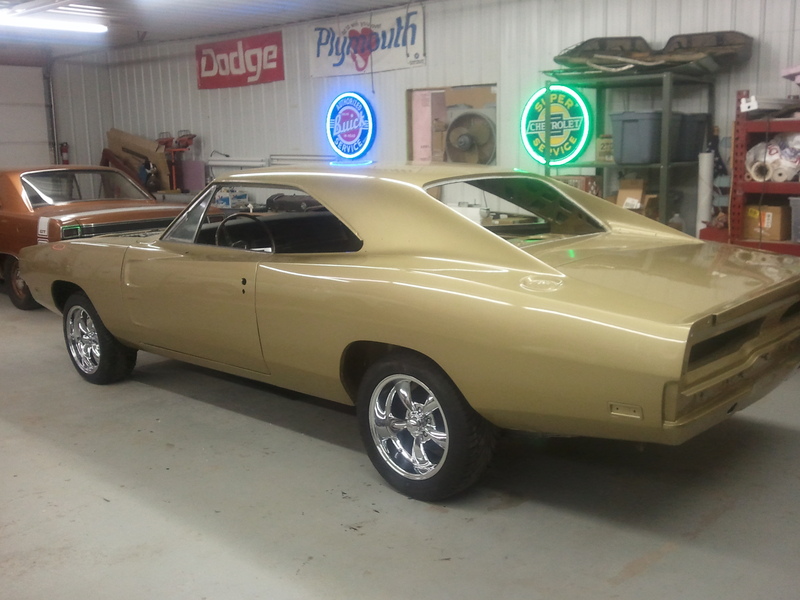 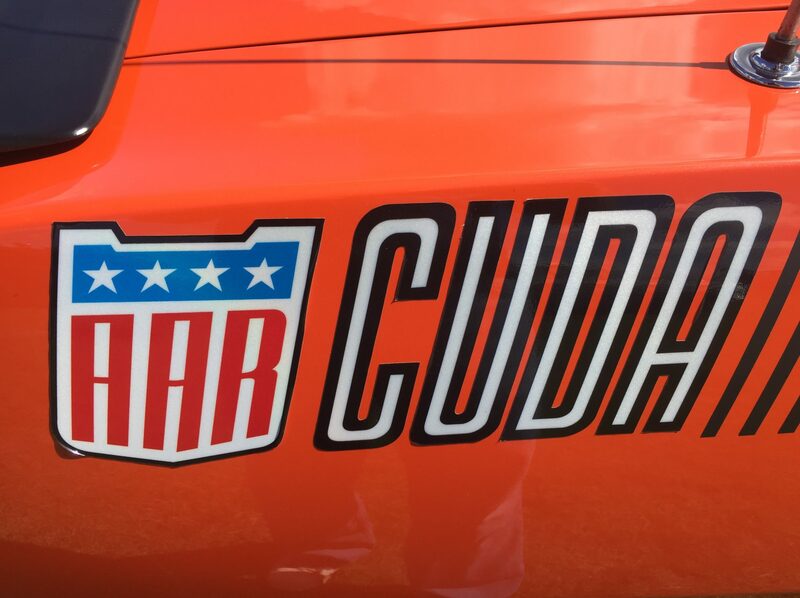 The car was built on his race car jig and returned to the exact factory measurements. 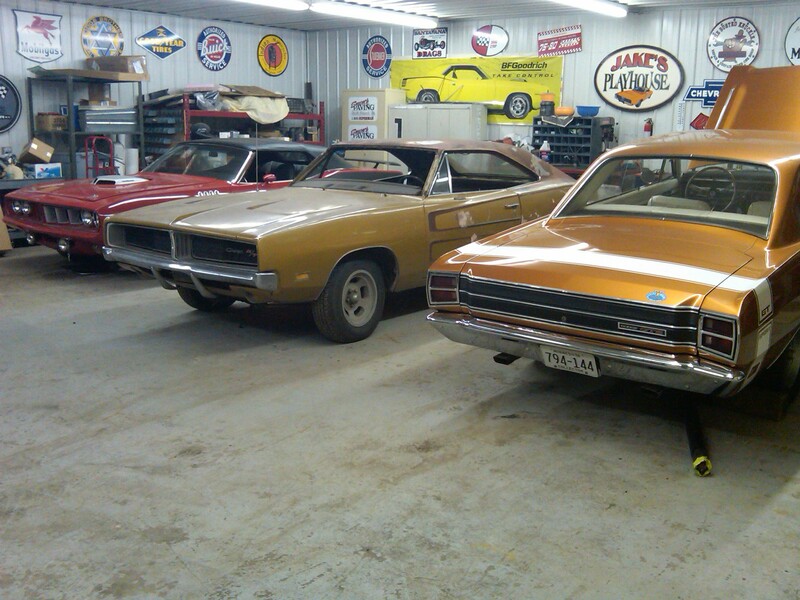 When complete the doors and windows all shut and closed perfectly. 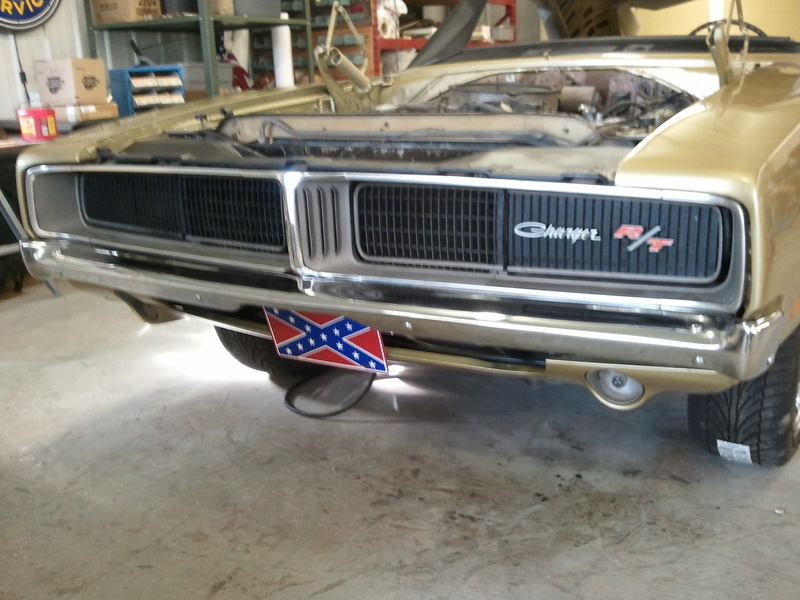 This is real R/T. 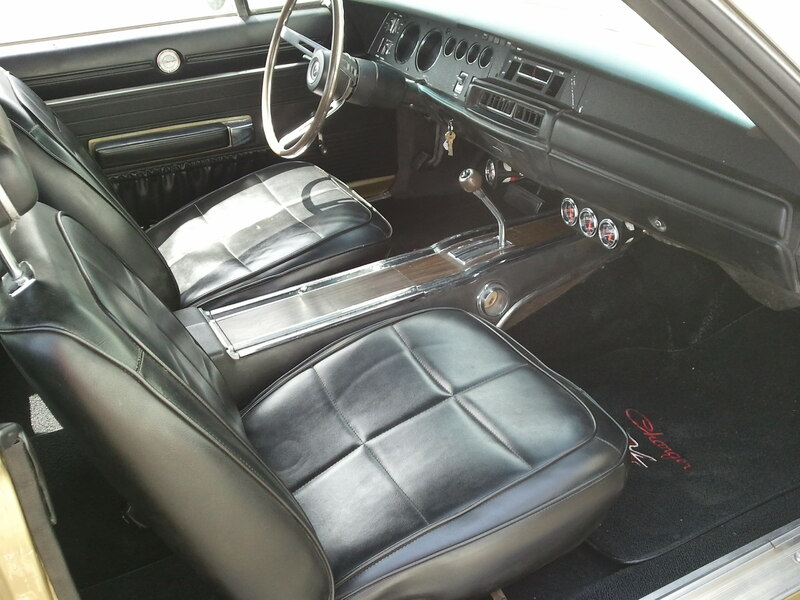 AC, console auto w 6 way seat, numbers Matching 440. 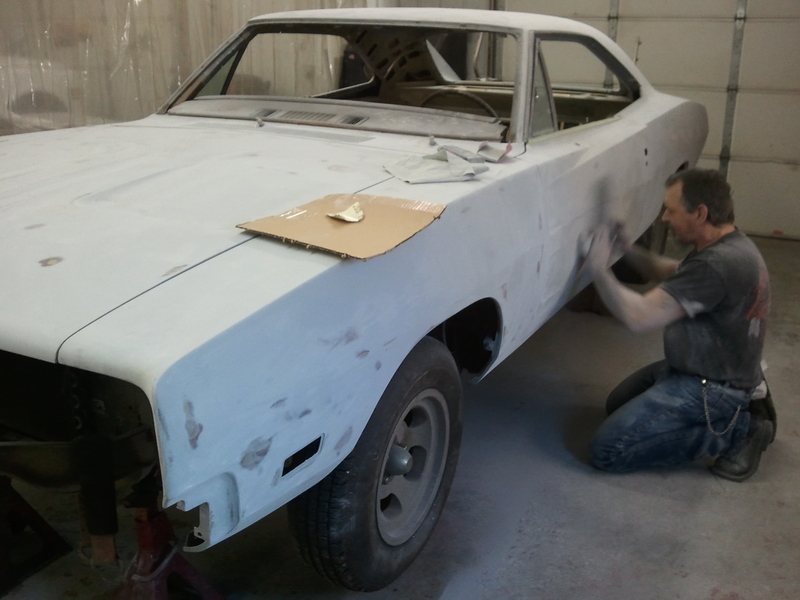 Updated 08/01/2011- Paint work complete, assembly has started. 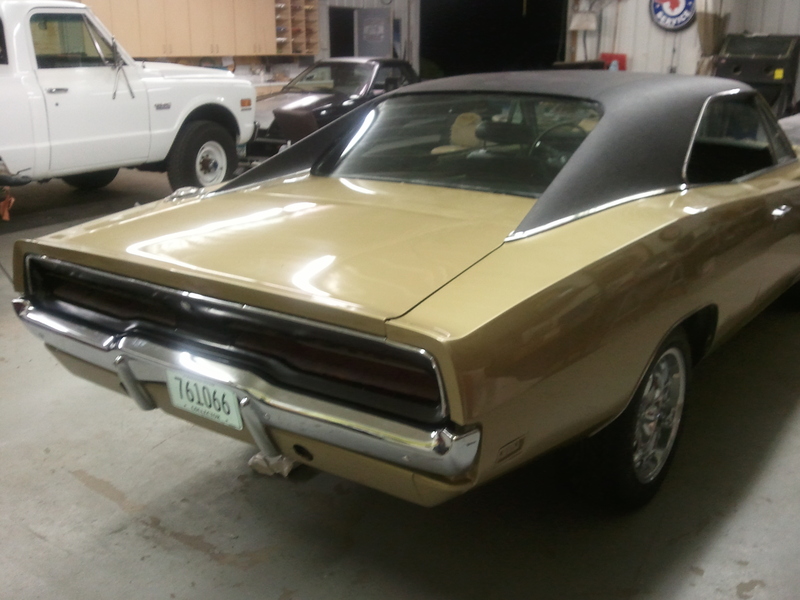 Sept 10, 2011, drove car to first car show. 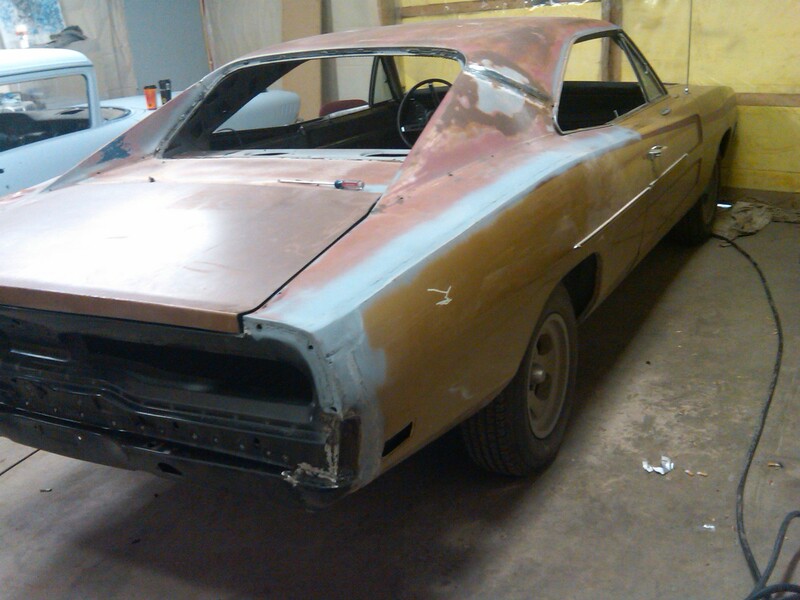 Misc put-to-gether left, add the Black R/T Stripe, restore dash cluster etc. 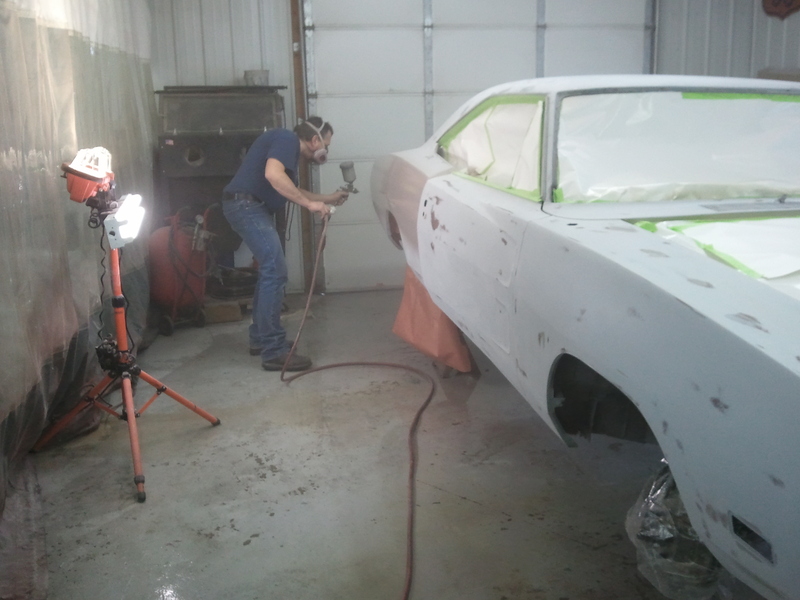 They are never ever done it seems. 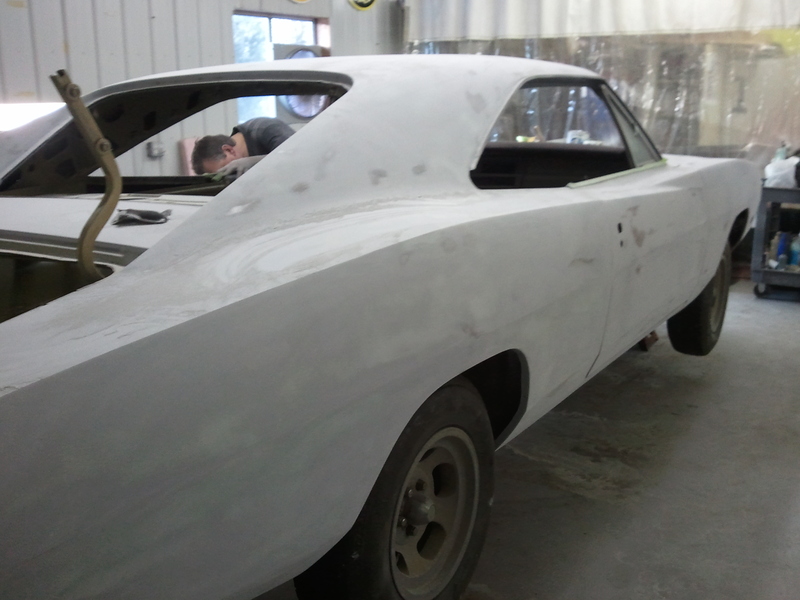 Front disc conversion, Sandblasted and painted, including underside. 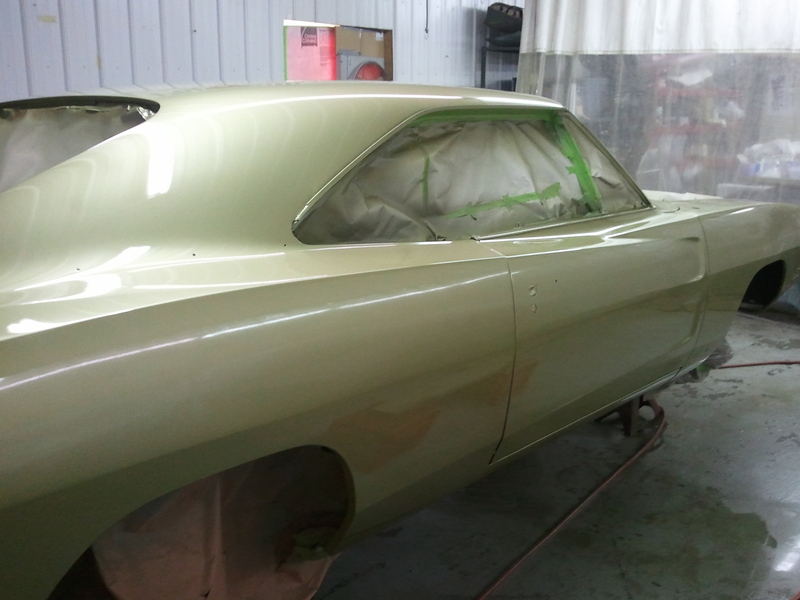 See resto pics in image gallery. 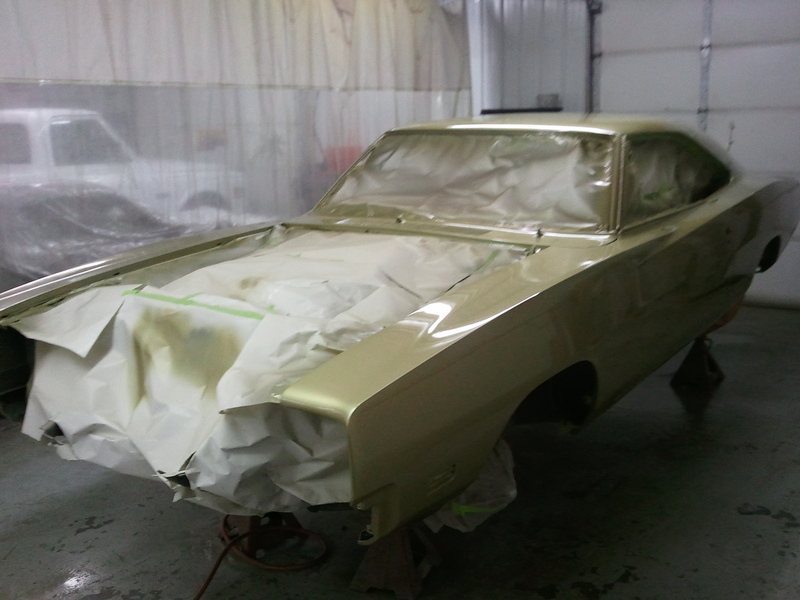 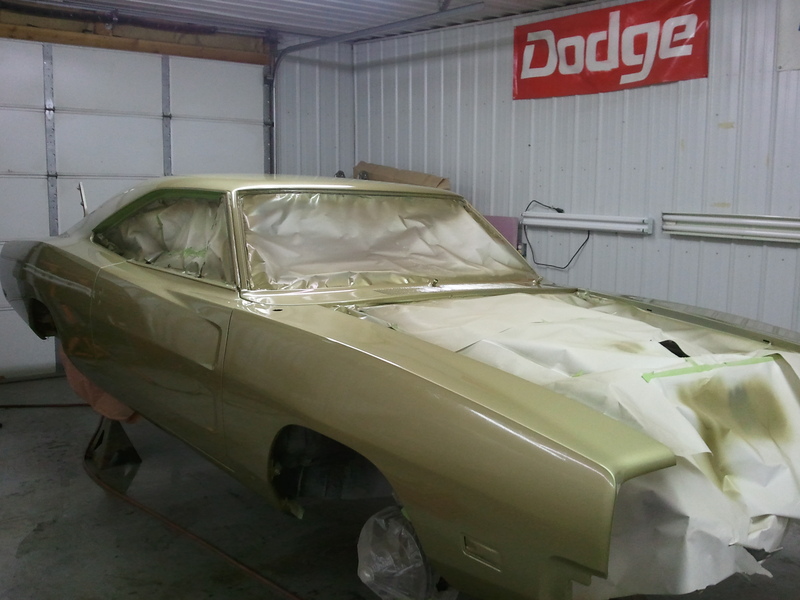 Note how this Y4 Gold Poly paint changes color from inside to outside. 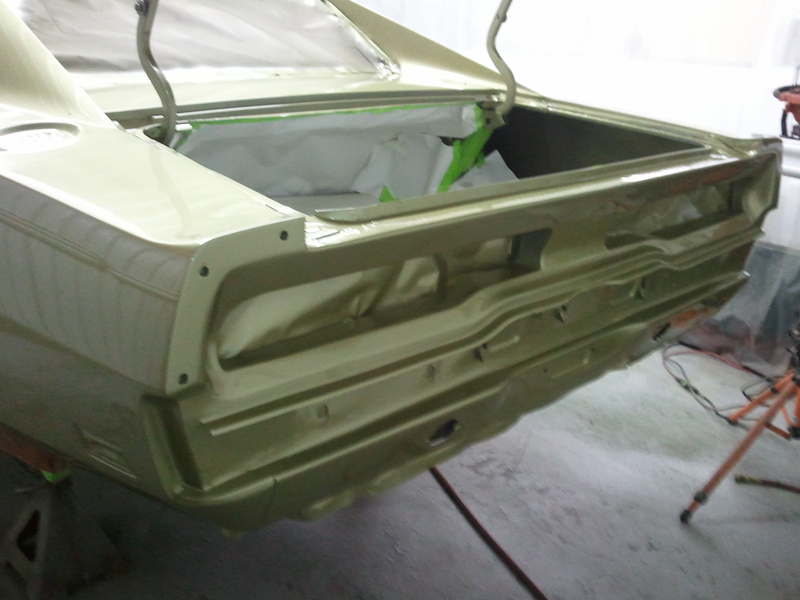 Underside painted from firewall back.